I love to ride, more than anything. I enjoy training the young horses (once they are far enough along that I trust they won't buck me off), and I love to hack out around the farm, just appreciating being on the back of a good horse riding through the beautiful countryside. Seeing as how I have too many metal bits in my body and don't bounce as well as I used to, I don't compete any more, but I take great delight in participating in the training of the competition horses. We are very fortunate to have Cindy Anderson-Blank as a trainer and rider to take over the reins in competing the Windchase horses. She is talented and dedicated, and I am happy and proud to have her ridea and compete my horses. Cindy grew up in the saddle, beginning her riding career as soon as she was old enough to hold the reins. Cindy had the privilege of growing up on a Cattle Ranch in Eastern Oregon where classic horsemanship and hard work was a part of everyday life. By age 14 she was starting horses under saddle for local clients and competing her own horses in all the disciplines the area had to offer. 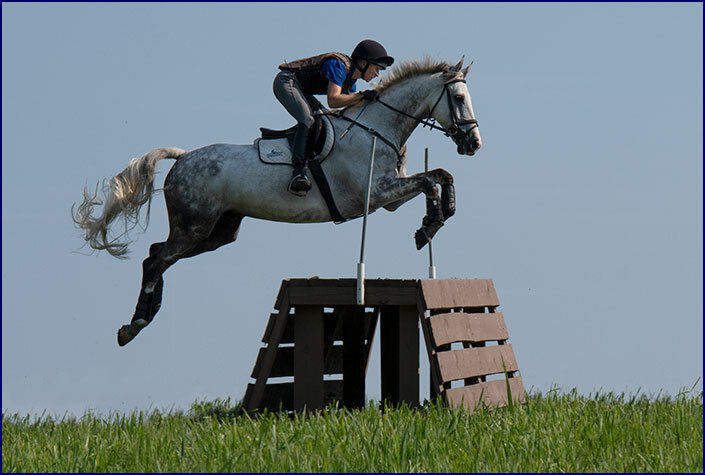 Cindy�s start in Eventing is a testament to her dedication and perseverance. As a high school student she routinely drove 400 miles in one day for an afternoon lesson. Serious in her quest to learn, Cindy spent 5 years as a working student for various trainers while completing a degree in Animal Science from Oregon State University, before becoming a full time professional trainer. In 2011 Cindy came to Virginia to work as head rider Windchase. 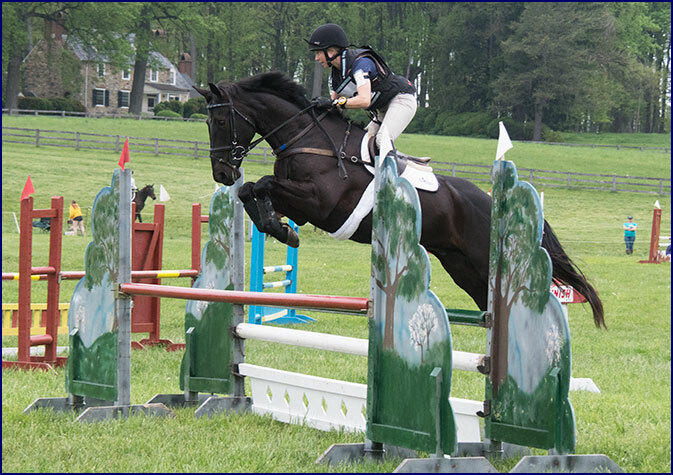 From starting the babies to competing at the CIC*** level, Cindy has an impressive skill set with careful focus always placed on the partnership between horse and rider. Windchase Phoenix Star is a 2008 Windchase homebred Irish Sport Horse by Brandenburg's Windstar, owned by Phyllis Dawson. Cindy and Phoenix have formed a successful partnership, moving up through the ranks to the Advanced and three-star level. Phoenix enjoys peppermints, massages and being groomed. He likes to for his Personal Assistant (Cindy) to fuss over him. 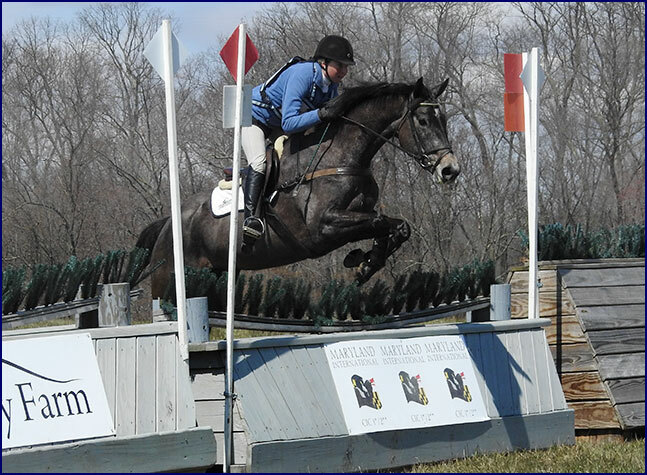 He works well in all three phases of Eventing. He is as talented as he is beautiful, with a true Irish spooky streak. He does not care for wildlife, especially fish. MHS Cooley Vegas is a 2008 Irish Sport Horse. He competed at the one-star level in Ireland, and was imported in 2017. Cindy acquired the ride in the summer of 2018, and he is owned by the Windchase Syndicate. Cindy and 'Greg', as he is known in the barn, are quickly developing a close partnership. Greg is a very laid back guy; he has a calm and cool demeanor. He is steady in the dressage, and is a careful scopey jumper. He wakes up on cross country, and he knows he can fly! Learn about the opportunity to participate in an ownership syndicate for MHS Cooley Vegas by visiting The Windchase Syndicate page. Castlecomer is a black 2012 traditionally-bred Irish Sport Horse owned by Phyllis Dawson. He was imported from Ireland as a barely backed four-year-old, and Cindy has trained him from the start. Castle is a slightly quirky character. He likes to be busy all of the time. He loves to run and jump, and is fearlessly brave to the fences. He is currently competing at Preliminary level, and we have high hopes for his future. Windchase Alcor is a 2008 Windchase homebred Irish Sport Horse by Brandenburg's Windstar, owned by Phyllis Dawson. He is elegant and beautiful, and moves like a dream. Alcor was sold as a four-year-old and has been competed up to the two-star level by Boyd Martin under the name of High Aspirations. In the summer of 2018 Phyllis had the opportunity to acquire him for Cindy to compete. Alcor and Cindy are forming a partnership and competing at the FEI levels. Windchase Faberge Star is a 2013 Windchase homebred Irish Sport Horse mare by Brandenburg's Windstar, owned by Phyllis Dawson. She loves to run and jump. Good things can come in small packages; what this compact mare lacks in stature she makes up in heart. Cindy started Faberge from the ground up, and the two of them have a natural partnership; they clicked together from day one. It will be fun to see how far they can go together. Longstride is a 2012 warmblood gelding bred by Darlene Judd. He is a beautiful mover with to Dressage bloodlines. Cindy started him under saddle and has brought him along from the start, and he starting his Eventing career now. 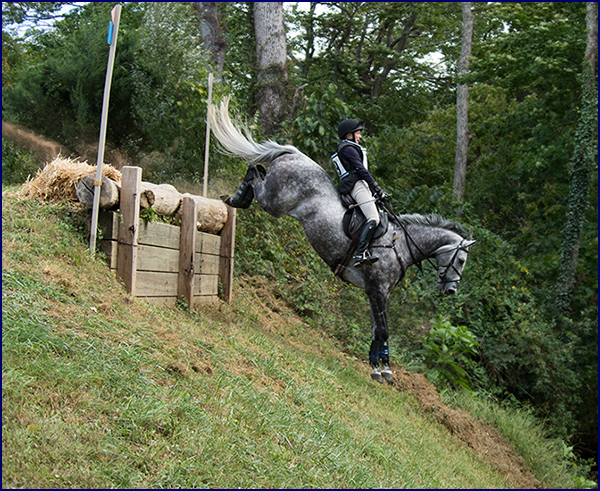 For more information on Phyllis's competitive career, visit Eventing with Phyllis. If you are looking for horses with this quality and talent, see our Horses for Sale page.